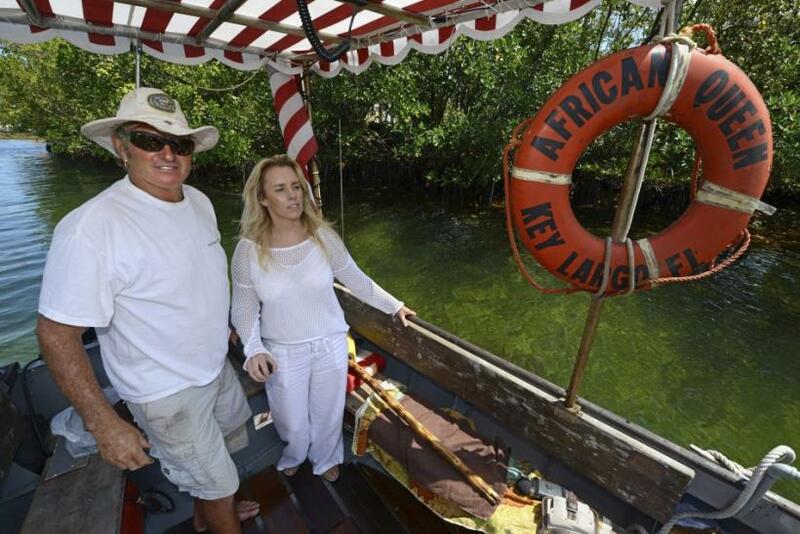 African Queen, the historic vessel from Humphrey Bogart's only Oscar winning performance, has been resurrected and restored by a movie-loving Florida couple. The 100-year-old steam boat, named after its starring role in the 1951 hit movie of the same name, provided the setting for the classic picture that told the story of a Canadian steam boat captain and a British missionary working in German East Africa during the First World War. Also starring Katharine Hepburn, the movie won Bogart the 1951 Academy Award for best actor. 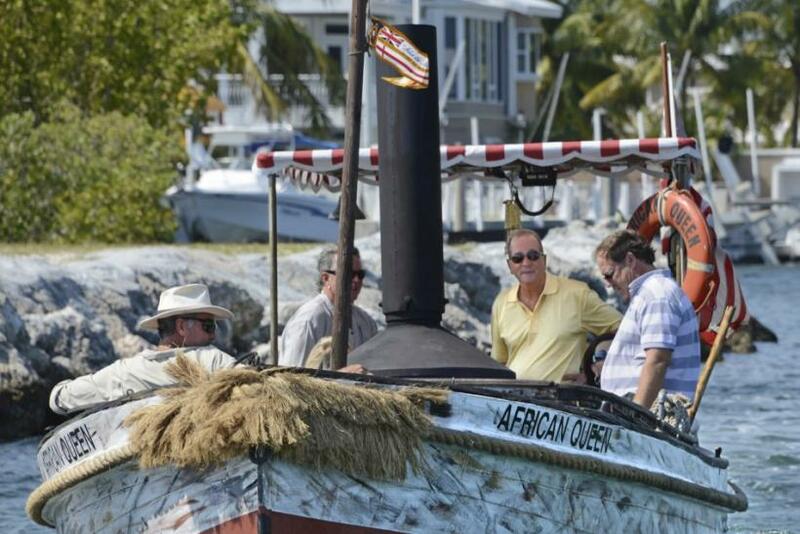 The steam boat came close to becoming a lost cause after the death of its previous owner in 2001, before it was spotted gathering rust in a Florida marina late last year by Suzanne Holmquist and her engineer husband, Lance. 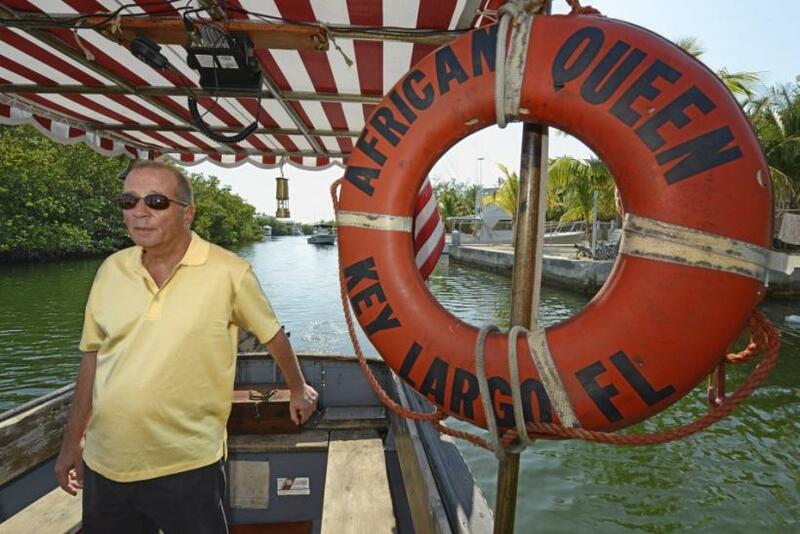 Since recovering the piece of American cinematic history, the couple restored the ailing ship to full-strength and even opened it up to tourists and film enthusiasts, providing cruises around the Florida Keys aboard the famous vessel. It's (the boat) held in a trust so we approached them and talked about restoring it, Holmquist told CNN, referring to how she stumbled upon the famous vessel. 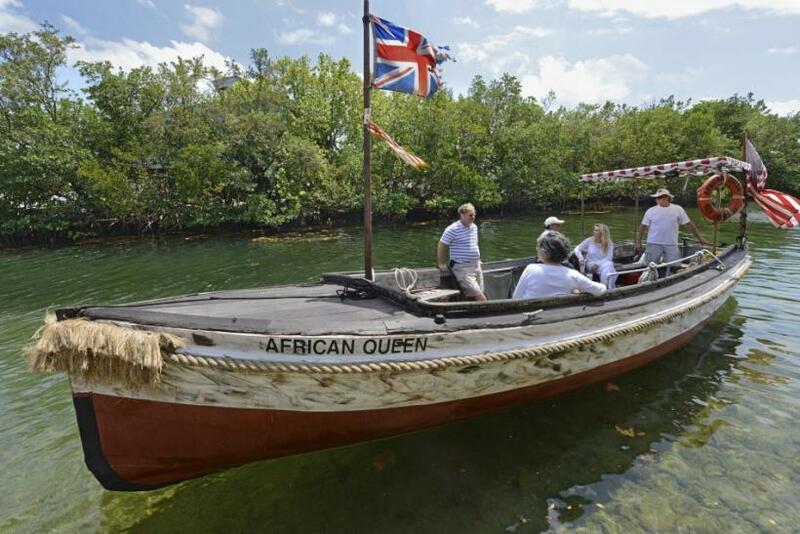 We have a tall ship business that operates right next to where the African Queen was stationed in Key Largo. It was just wasting away so we offered to restore it and put it into our charter operation, she added. According to Holmquist, African Queen (the boat) had a long life before hitting the big screen with Bogart and Hepburn. Built in 1912 at Lytham Shipbuilding Yard in England, the vessel was originally named the Livingstone and served as a cargo vessel for the British East Africa Rail Company. The vessel was used to transport a mixture of hunters, mercenaries and cargo, operating in the waters of the Ruki River in the northern Democratic Republic of Congo. As the CNN article reports, it was in the early 1950's that the ship was spotted by John Huston, the director of the African Queen, who temporarily pulled the boat from service so it could be used in the movie. After the movie struck as a hit, the vessel, which became a star in its own right, changed hands a number of times before eventually falling victim to a lonely jetty in southern Florida. It was here that Suzanne Holmquist, herself a self-confessed Bogart and Hepburn buff, recognized the boat. Late last year she made an offer to the owners to put it back in working order. My husband has restored big boats before, some bigger than this one, so I knew that we could do it, she added. The ensuing restoration project has been a detailed and thorough process taking fully six months to complete. 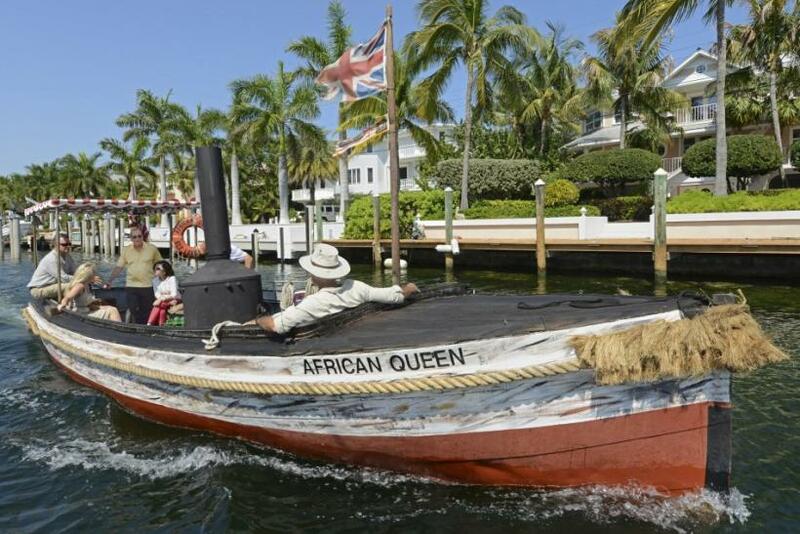 Check out this blast from the cinematic past -- The African Queen!